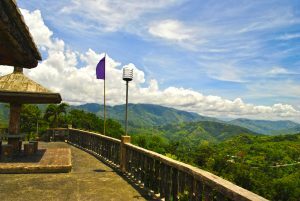 The Province of Nueva Vizcaya used to be a territory of the vast Cagayan Valley Region, which was once an integral political unit with one governor. In 1839 then Governor Luis Lardizabal issued an order creating Nueva Vizcaya into politico-military province upon the advice of the alcalde mayor of Cagayan. The order was approved by a royal Decree on April 10, 1841. The present territory of Nueva Vizcaya was the result of changes emanating from the formal creation of the province of Isabela in May of 1856, wherein a great portion of its northern area was ceded to the newly- born province. The organization in 1908 of the province of Ifugao further reduced the area of Nueva Vizcaya, which was forced to give up its northwest territory. The survey executed by the Bureau of Lands in 1914 further caused the diminution of its area and reduced again upon the enactment of the Administrative Code in 1917. Even with these slices of land given away to the new emerging provinces, the province of Nueva Vizcaya still held a territory. But then again in 1971, with the passage of Republic Act No.6394, Quirino, which was then sub-province of Nueva Vizcaya, was separated from its mother province and made into a regular province. As it is today, Nueva Vizcaya occupies a land area of approximately 3,903.90 square kilometers, which is about 10.72 percent of the regional land area and 1.30 percent of the total land area of the country. The province of Nueva Vizcaya is located in the north-central part of Luzon in Region 02. The province of Ifugao and Isabela bound it on the north and northeast, on the east and southeast by Quirino and Aurora, respectively, on the south by Nueva Ecija and on the west by Benguet and Pangasinan. The province is actually bounded by three mountain ranges covered with forest and grasslands, namely the Sierra Madre on the east, the Cordillera on the west and the Caraballo on the south. The province is 287.0 kilometers north of Metro Manila. Nueva Vizcaya has a domestic airport which caters to chartered flights at Barangay Lantap, Bagabag, 20 kilometers from Bayombong. 01.SAINT DOMINIC CATHEDRAL . A living vestige of the grandeur that was the old town is its Catholic Church that was preserved to become the first cathedral in the province. Razed by fire twice and rebuilt in the same old site, it is now approximately twice its original size. The cathedral maintains the original façade and as such a veritable treasure, a relic of the past for its historic and aesthetic remains of a proud Christian past. 02.NUEVA VIZCAYA PROVINCIAL CAPITOL COMPLEX is decidedly symbolic of the noble aspiration, foresight and noble vision of its builder, Governor Patricio G. Dumlao. Located along the national road, it houses all the provincial government offices. The capitol building is a study of architectural ingenuity. It has a park with exotic plant species, concrete benches and sidewalks lighted with giant lamps and man-made lagoon ideal for rowing the colorful mini-boats operated by handicapables, also called the Luneta of the north. 03.DALTON PASS/BALETE PASS is a rugged piece of terrain where a part of the Caraballo Sur reaches south and joins the Sierra Madre. Because of its strategic importance as the only access between Pampanga and Cagayan Valley, the pass became the scene of much bloody fighting during the final stages of World War II. Japanese Shobu soldiers headed by General Tomoyuki Yamashita tried to hold their positions while Filipino and American soldiers under the leadership of Colonel Robert Lapham, were determined to dislodge them from February to March 1945. By the close of hostilities, the blood of almost seventeen thousand Japanese fighting units and the US-Filipino allied forces mingled with the soil. Markers that commemorate their sacrifice stand by the road’s highest point, with good view into the highlands. The shrine is a reminder for Gen. James L. Dalton who was killed by a sniper’s bullet during the end of World War II. Located 3,000 feet above sea level, Balete Pass is also the gateway to the Cagayan Valley Region and the Ifugao Rice Terraces. 04.CAPISAAN CAVE SYSTEM is the FIFTH longest cave in the country at 4.2 kilometers. Located in Barangay Capisaan, Kasibu – it has layers of cave network including Lion and Alayan Caves with rare calcite formations and a subterranean river which doubles as a passageway to the best part of the cave. Brgy. Capisaan is about four hours by jeep from Solano on feeder and clay type soil road carved out of mountain sides. Other caves in the area are Alayan, Lion and Sabrina Cave. 05.ALAYAN CAVE at Malabing Valley, Brgy. Capisaan, Kasibu is ranked as one of the best in the country. It is a multi-chambered cave with living calcite formations and subterranean river. 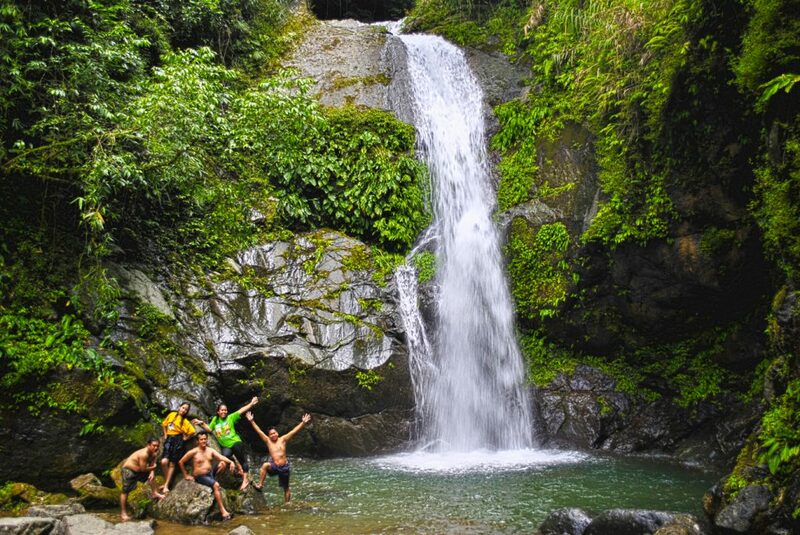 Tours can be arranged with the Sang-at-Salug Mountaineering Group or the Provincial Government of Nueva Vizcaya. 06. HEAVEN CAVE at Malabing Valley, Brgy. Capisaan, Kasibu has two big chambers of various calcite formations and a mezanine of pure white limestones where one has take off their footwear before exploration. 07.IMUGAN WATER FALLS, Sta. Fe, Nueva Vizcaya is a two level falls with shallow catch basin. Trek over streams/rivers emanating from the falls. 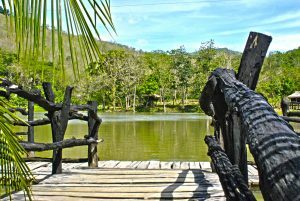 Enjoy trekking, exploration, swimming, fishing and cultural immersion. Also within the area is the Imugan Mountain Fresh Factory which utilizes wild berries and other fruits to produce spreads and jams while visitors can watch the production process and shop for preserved fruit spreads. Imugan is about 30 minutes from National Highway. 08.KAYAPA FRUITS and VEGETABLE FARMS is a three-hour drive from Bambang highway. Travel over forested mountains and hills, cool climate, streams/rivers and terraced slopes of vegetables, fruits, flowers and rice fields. Kayapa town cuts travel time from Nueva Vizcaya to Baguio City by two hours during summer. Bambang fruit and vegetable stalls also serve as outlets for fresh produce from Kayapa frequented daily by buyers from Manila and Baguio City. 09.DUPAX DEL SUR CHURCH is one of the biggest and oldest unreinforced brick churches (18th century) in the Cagayan Valley. The church has all the requisites of an Old Spanish brick church like wooden altar, columns and lattices and a museum which houses centuries old church artifacts. 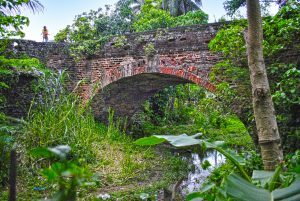 Other well-preserved Spanish monuments include a Spanish Flagpole and Dampol Bridge – an unreinforced bridge made of bricks. In the 1960’s, after being christianized, the Ilongots gave up their head-hunting ways and started to call themselves Bugkalots in order to bury their bloody but proud past. The Isinais, formerly called Mallats or Imaalats were gentle and easily embraced Christianity. The church, declared by the National Museum as a National Cultural Treasure is a forty-five minute drive from Bayombong. 10.MT. UGU in Kayapa, this beautiful mountain offers trails that pass through native communities of the Kalanguya tribes and is becoming a favorite mountaineering destination among outdoor enthusiasts. 11.MT. PALALI stands at 1,705 meters asl. The municipalities of Quezon and Bayombong bound Mt. Palali. 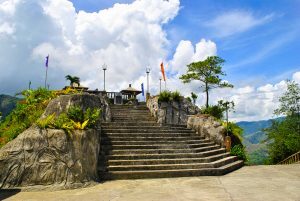 Once the hunting ground of the Bugkalots, Gaddangs and the Ifugaos, the mountain offers a magnificent view of the low-lying municipalities of Nueva Vizcaya. Its diptherocarp forest contains unique diversity of flora and fauna and is historically a crash site of a WW II tora-tora plane. 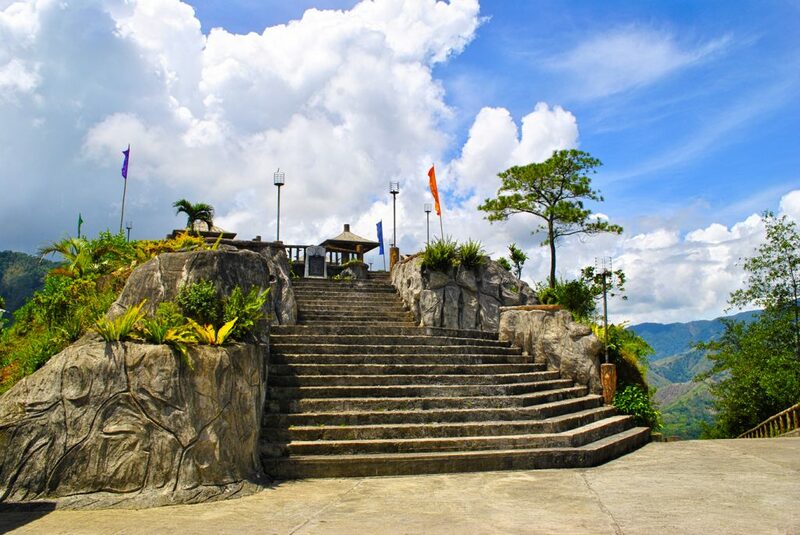 12.AMBAGUIO town is the gateway to Mt. Pulag, the second highest in the country at 2,922 meters above sea level. Guided tours offer treks along hanging bridges, climbing through mossy forest and remote farming barangays with friendly Kalanguya tribe. Walk through an area of bonsai forest and grasslands of dwarf bamboos over a horizon of clouds. Mt. Pulag is a perfect eco-tourism destination and is home to the pitcher plant, giant cloud rat and whiskered pitta. 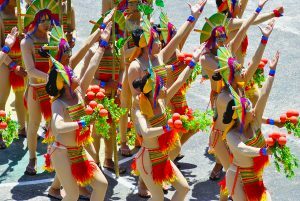 Ambaguio is 20 kilometers from Bayombong and is home to four indigenous tribes namely Kalanguya, Ibaloy, Kankanaey and Karao. 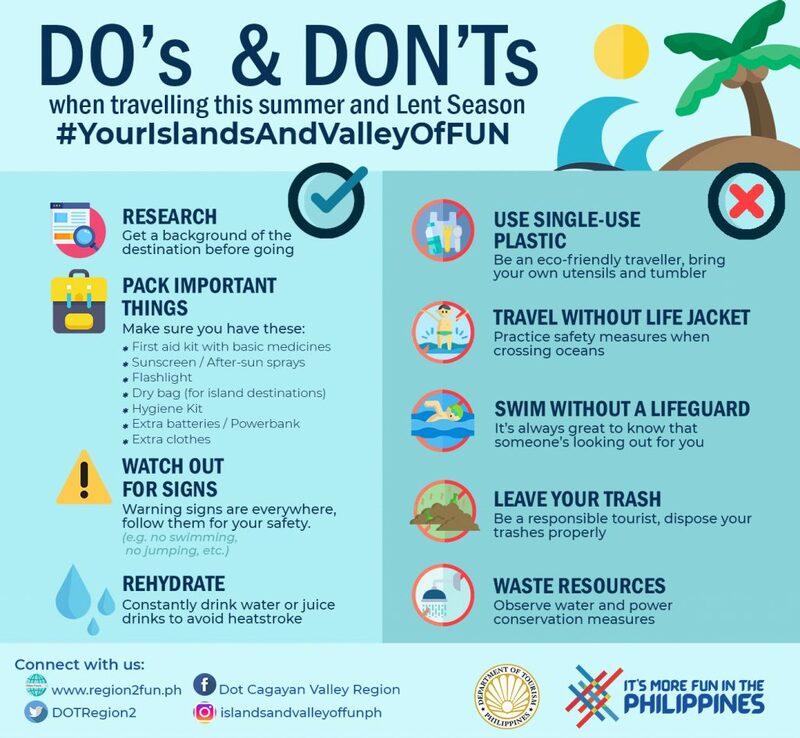 For trips and arrangements contact the Municipal Tourism Council through Mr. Guzman Allawas at 0921-345-4515 or Leo Fausto at 0928-786-2217. 13.PEOPLE’S MUSEUM and LIBRARY in Bayombong stands beside the St. Dominic Cathedral. A two-storey historical building which houses the Novo Vizcayano’s history and heritage. The former seat of the provincial government now showcases the culture and tradition of the tribes of Nueva Vizcaya. 14. 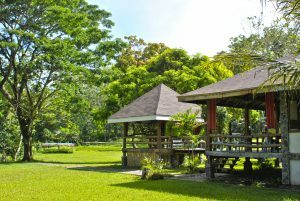 LOWER MAGAT ECOTOURISM PARK is being develop by the Province of Nueva Vizcaya as a high-end back-to-nature resort facility showcasing the rich culture and natural attractions of the province.